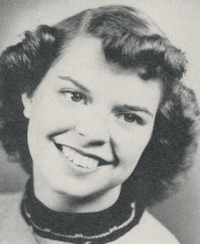 Obituary – Skalenda, Betty June (Buffington) « Perry High School Alumni Association, Inc.
Library Staff 52-53, All School Revue 53-54, FTA 53-55. 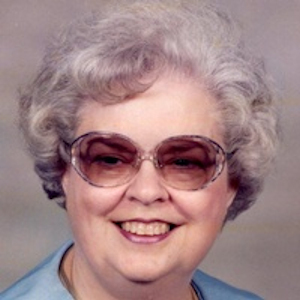 Betty June Skalenda, daughter of Ralph and Marie Jackson Buffington, was born February 26, 1937, in Perry, Oklahoma, and departed this life June 23, 2018, in Lebanon, Missouri, at the age of eighty-one years. On June 30, 1956, Betty was united in marriage with the love of her life, Bernard Skalenda. To this union was born three daughters, all surviving. Prior to Betty’s passing, she and Bernie had shared nearly sixty-two years of marriage love and laughter. Betty made a profession of faith at a young age and at the time of her passing, had been a longtime member of St. Francis DeSales Catholic Church. She loved her church family, and they loved her. Although her top priority was tending to the needs of her family, Betty also worked outside her home. For many years, she was an Insurance Agent working along side Bernie and her daughters. Betty enjoyed sewing, playing Bridge, square dancing, crocheting, cross stitch, embroidery, quilting and making Christmas stockings for her Grandchildren. Betty was an excellent cook and collected angels and humming birds. Not a moment was ever wasted with Betty. She also enjoyed Lawrence Welk, Daniel O’Donnell and Marty Robbins. Her passion, however, was the time spent and memories made with her family, that is what she treasured most. She loved them dearly. She is survived by her husband Bernie; three daughters, Jerelyn Ann Burkemper and her husband Gregory of Troy, MO, Jacqueline Marie Piercy and her husband Richard and Catherine Elaine Skalenda, all of Lebanon, MO; her second family, whom she raised with her deep interest in Autism and ADHD; three brothers, Richard Buffington and his wife Evelyn of Perry, OK, Leslie Buffington of Perry, OK, and Robert Buffington and his wife Bonnie of Broken Arrow, OK; seven grandchildren, Cassandra Isom and her husband Jonathan, Justin Burkemper and his wife Sommer, Tiffany Piercy, Henry Piercy, B. Joseph Piercy, Ethan Frey and his wife Samantha, and Elijah Wood; seven great-grandchildren, Liliane, Maddison, Ryleigh, Shirley, Everett, Anna and Grayson; numerous nieces and nephews; other relatives and many friends. Betty was preceded in death by her parents and one sister-in-law, Maxine. Betty will be greatly missed and fondly remembered by all who knew and loved her. At her request, her body is to be cremated under the direction of Shadel’s Colonial Chapel. A memorial mass will be held at 10:00 A.M., Wednesday, June 27, 2018 at St. Francis DeSales Catholic Church in Lebanon, Missouri. Memorials have been suggested to First Steps (Autism Center in Springfield) and donations can be left at or mailed to Shadel’s Colonial Chapel, P.O. Box 948, Lebanon, MO 65536.